Bone Densitometry | Sutter Buttes Imaging Medical Group, Inc.
What is a Bone Densitometry (Bone Density) Exam? A bone density test, also known as a bone mineral density test (BMD), is a diagnostic exam that is used to measure the strength and density of bones. It is done at Sutter Buttes Imaging via technology called Dual-energy x-ray absorptiometry (DEXA). 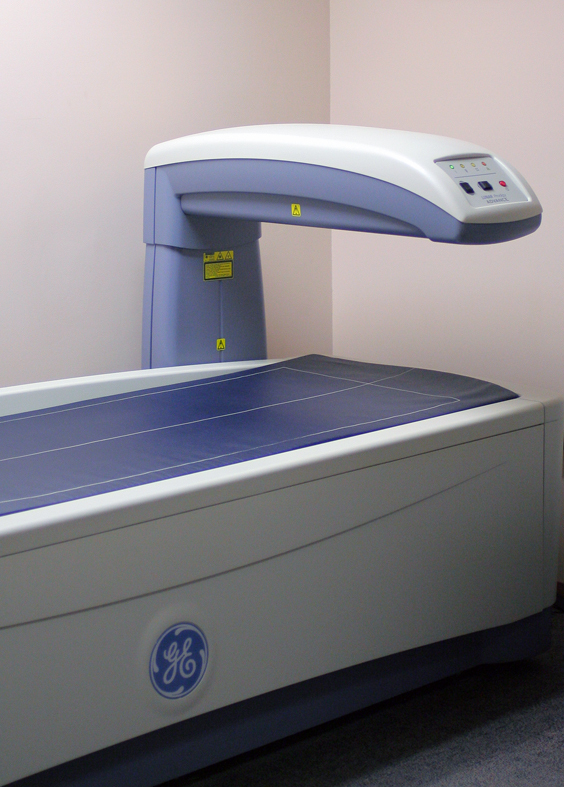 DEXA uses very low doses of radiation to detect the presence of osteoporosis and osteopenia. This test also evaluates the possibility of fractured bones and helps to determine if preventative treatment is necessary. Note: Bone Density tests are performed at the new Rideout Center for Women’s Imaging.